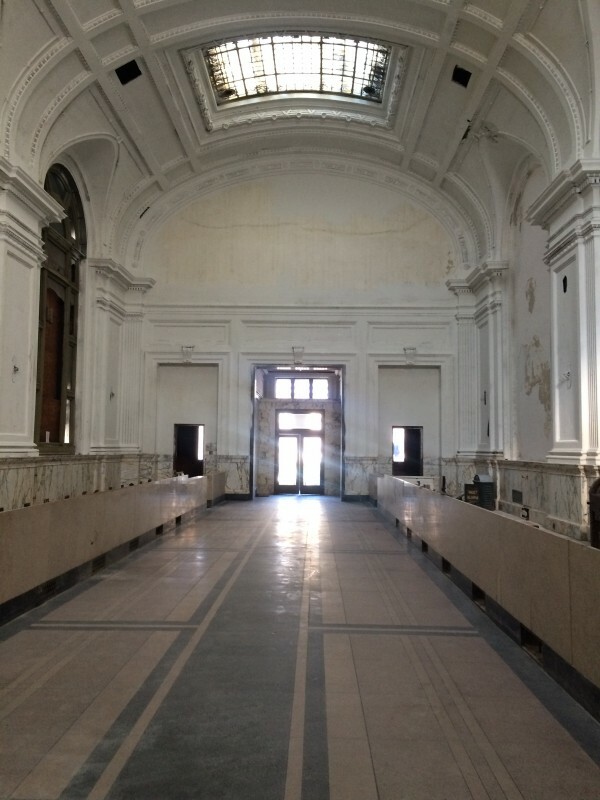 The bank building was essentially vacant since the Agnes Flood of 1972 and there was no evidence of any major maintenance conducted in its past. 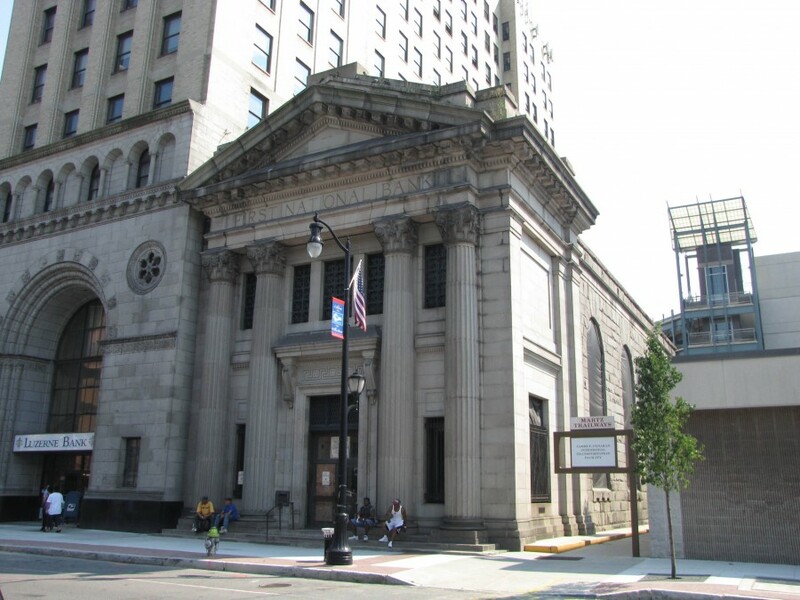 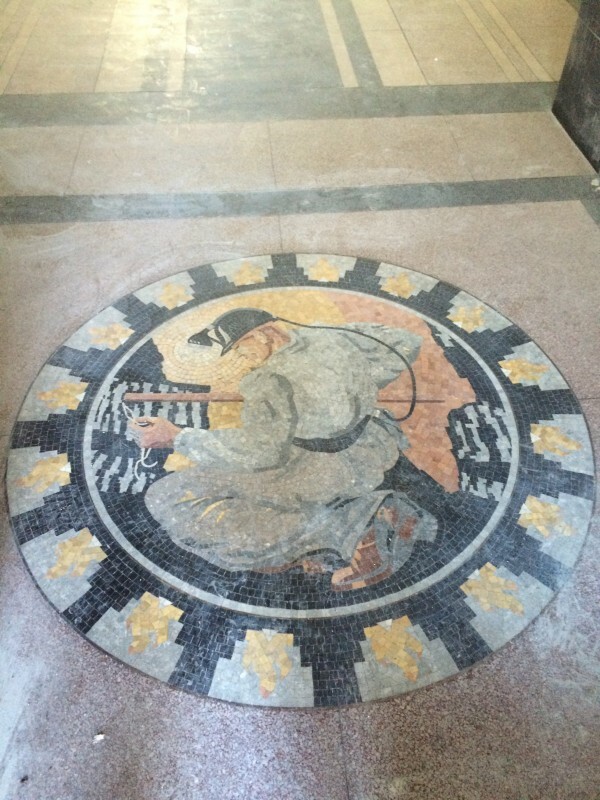 The City of Wilkes-Barre, the buildings’ current owner, selected Quad3 to conduct an initial phase for restoration, to be essentially completed through a fast track process by the end of the year. 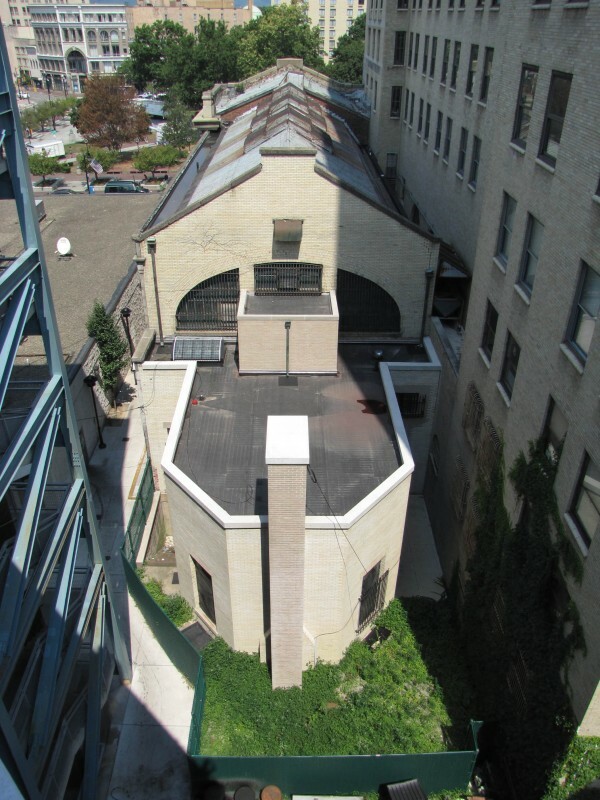 Work included a cursory review of the building’s masonry condition and a plan for an exterior renovation of the rear brick addition including masonry parapet reconstruction, brick repointing, a new EPDM rubber roof and a skylight replacement. 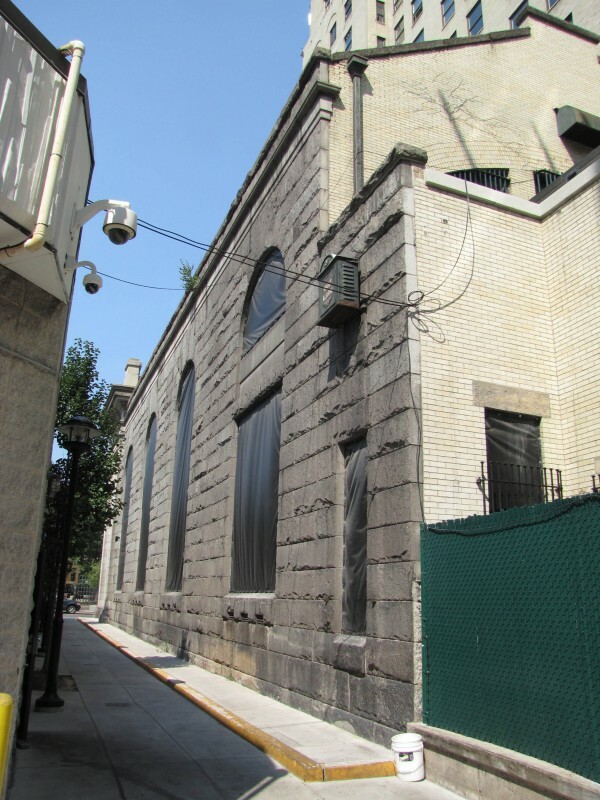 Additionally, some structural deficiencies on the front building façade were stabilized, and roof drains in the main structure opened and reconstructed in preparation for a future second phase that will address the main building roof and masonry restoration.